Food and culture go hand in hand. Whether it’s a recipe that’s been passed down through your family, a food that’s representative of your city or neighborhood, or just something that represents you as a person, food is culture. 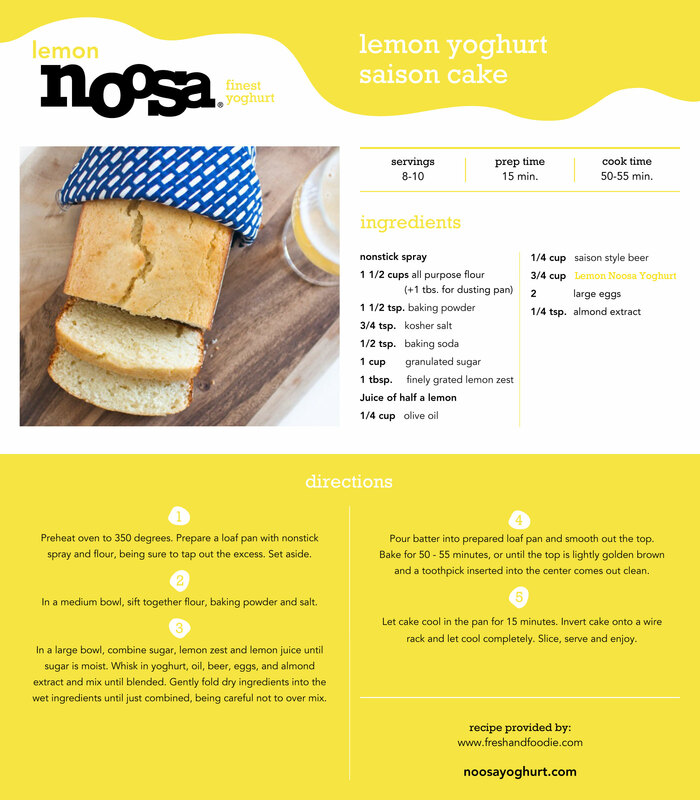 So when Noosa Yoghurt asked me to create a recipe that represented my culture (see what they did there? ), I knew exactly what I’d do. The Chicago craft beer scene has inspired much of the content on Fresh and Foodie, so it only seemed right to use that as inspiration here, too. Speaking of inspiration, as it turns out, Noosa and I have much more in common than I originally knew. They too are into the craft beer scene (being based out of Colorado, it’s pretty much a given), and they also are big supporters of cyclocross – a sport that’s become part of my life ever since my husband started racing it seven years ago. Cool, huh? So, as I researched Noosa’s flavors, I tried to imagine which ones would work best with beer. There are several different styles of beer, of course, so I was mentally working through pairing flavor profiles together. I eventually landed on the lemon Noosa Yoghurt and Biere de Miel – a saison-style beer with bright, lemony notes. The specific beer I chose was Off Color Brewing’s Eille – a complex yet light beer from an up-and-coming Chicago brewery that includes honey, lemon, juniper, coriander, chamomile and rose hips. The two together seemed like the perfect ingredients for a cake. This Lemon Saison Yogurt Cake is dense yet moist, sweet but not too sweet, and perfect for breakfast (why not?) or dessert. Because if there’s anything better than having your cake and eating it too, it’s doing it alongside a beer. *Noosa Yoghurt reached out to me about partnering on a recipe post, and I chose to do it because I found it to be the right fit for Fresh and Foodie. Opinions are my own.